Now that we have all arrived back in Canada, I am long overdue contributing to the MCOH blog. The trip to Kenya was, to say the least, inspiring. I had the privilege to see first hand, a beautiful country and experience very kind hospitality. The people of Kenya are hardworking, resourceful, patient, spiritual, polite and have a great sense of humor. For a lot of families there may be poverty of resources, but there is no scarcity of courage or commitment to improve their own lives with education. There were schools, colleges, polytechnics and universities everywhere. The medical problems were varied, some similar to home but others quite rare and different. The doctors and nurses were constantly considering the best care for their patients as well as attempting to keep the care affordable. One of the other eye opening benefits of the visit to Mikinduri was seeing the other volunteers in action, and getting to enjoy their company. Keilah Bias, a very quiet but determined young lady, who had brought with her a charcoal press design. This was to show how charcoal briquettes could be made from materials not commonly used (cassava and banana leaves). She won over everyone with her persistence and common sense design. The press was successful! Keilah was also our unofficial photographer. Peter Doiron and Brady Gallant, two UPEI Engineering students, designed, revised and re-revised a wheelchair for a disabled woman in her early 30s, so that her family could help mobilize her with more ease. To do this, they made contact with the local Polytechnic. The contact may become invaluable in the future, if Mikinduri’s Rehabilitation center is to be successful. They persisted with the revisions until the wheelchair was comfortable and appropriate for Catherine and her family. Angie Dennis and Janelle London, both very talented and dedicated nurses from the QEH, went out daily to assess the health of the children and resources for healthcare provision in the communities around Mikinduri. Some of the families were quite poor, and the children had open sores on their hands and feet from parasites in the soil. They did their best to help, but no doubt this was difficult for them to see, and they worried about the ongoing health of those children. They were both touched by the generosity of those so poor, who still wanted to give them something to eat after the trek to their villages. Finally, there was Libby Osgood, who was our leader. Libby always had the bigger picture in view of what was to be accomplished in Mikinduri. Libby teaches Engineering at UPEI, and it was easy to see that the engineering students were impressed, as we were, with her organizational skills, knowledge, sense of humor and kindness. The entire project went smoothly thanks to her efforts. There were so many people from Mikinduri and the surrounding villages, Chaaria, and Nairobi who we met, and admired. Theirs will be the faces and voices of Kenya that we recall, when we think of this amazing trip. 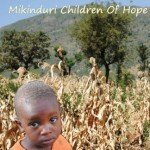 Friendships and partnerships to help all of us, is what Mikinduri Children of Hope is about. I would like to thank Ted and Rita Grant of Cornwall and all the previous MCOH volunteers for their efforts to build those bridges of friendship and partnership.